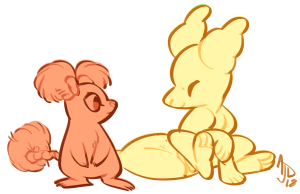 A Closed Species adoptable group owned and ran by CloverCoin and trusted staff. A large-scale relaunch of all things Pillowing! Prompt Packs, Stickers, new ways to earn CC, and more! Bank is currently down for a major upgrade. Please bare with us as the prompts are on hold until we have the bank back. Rarity Label Change for pillowings and lintlings! No events are live at the moment. A stuffed animal brought to life by magic. So long as it's enchanted item, the heart token, remains in place, this creature will be your life long companion. They will be there to comfort you in the hard times and bring joy to the good ones. They exist only to serve their masters. An accidental spawn of the original pillowing creator. The designer had tried to make something much similar to pillowings, but smaller and more compact. Something went wrong with the prototype and it escaped. Now they're everywhere. Group is going through some updates. Hello everyone! 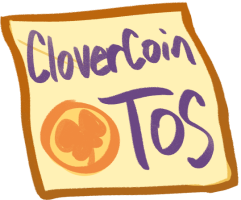 CloverCoin here and I just want to let you all know we're currently rolling out some big updates. Right now Provinite hasn't been feeling well and all my extra time is spent taking care of him. So we'll be making updates as soon as we're able. Here are some quick links to help out in the mean time. ethereal-dancer has been a charming and dedicated member of our community for over five years now! Their pillowing, the darling dancing doll Saranna, is a great compliment to the glowing passion ethereal-dancer has for our community, and we are overjoyed to have them as a member of our team. You can check out their blog right over here for all sorts of interesteting insights and tidbits on books! Saranna not only has the look of a ballerina who has ascended to become a goddess, but also exudes the glamor and sass that keeps her fans returning time and time again. We're excited to see what you all come up with. Saranna's Archive page is right here for any trait references! During this spotlight (April 16th, 2019 - May 16th, 2019 ) you can draw fanart of ethereal-dancer's pillowing Saranna and earn a CC reward! Once you've completed the fanart, just submit it to the Spotlight folder in the gallery and a mod will tell you the amount of cc you've earned and tally it into your account! There is a limit of 3 fanart per user submitted for cc rewards. Spotlights are 30 day advertisements that group members can purchase through the Rewards Shop. This is a way to showcase your artwork, your writing, or your crafts! A great way to show off commission work as well if you're looking for more customers. We also feature one of your pillowing and lintling characters that other group members can draw fan art of for a cc reward. As Skittlezeon is just the former name of this account, I'll go and make sure that the bank is up to date for you. You still have the MYO slot, and you are more than welcome to use it whenever you please. As the last person who talked with you said, they don't expire. We like to encourage people to take their time to decide what they would like to do with their slots, and if that fancy takes years to strike, then so be it.